This bridge is located at a stream crossing of Back Road (T-398) over White Deer Hole Creek in Washington Township, Lycoming County, PA. 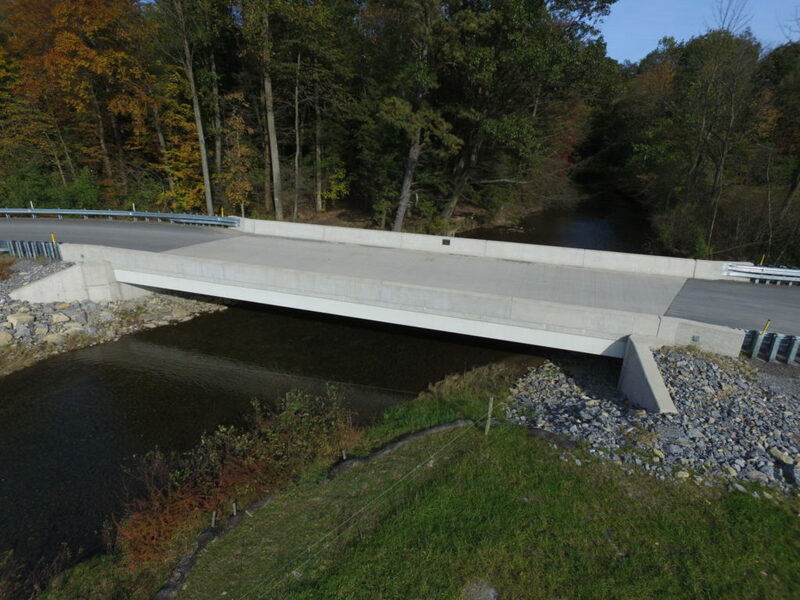 Replaced a 60’ long 2- span steel girder bridge with a new single span bridge 78’ long with associated backfilling and stream channel improvements. The new bridge has a pronounced skew and the approach roadway was realigned to remove the existing sharp approach curves onto and off the old bridge. 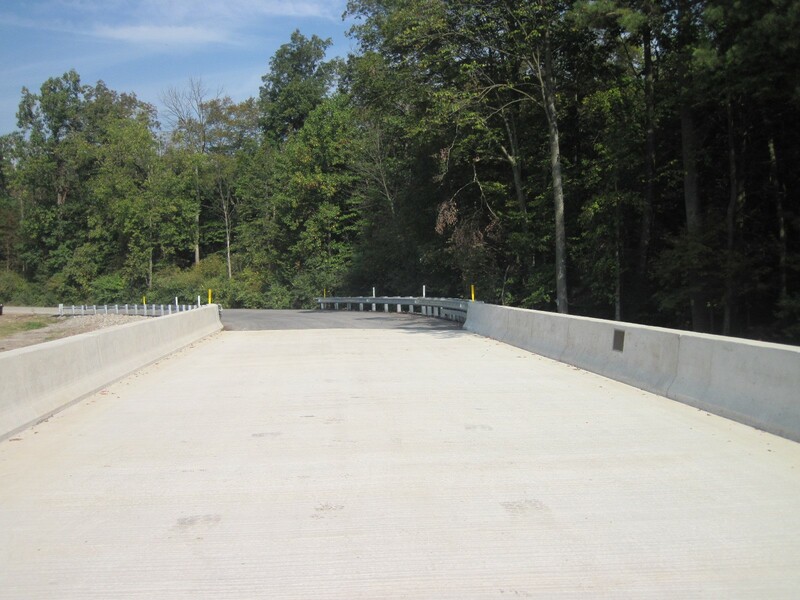 The existing bridge was severely deteriorated and needed replaced. White Hole Deer Creek is a High Quality Cold Water Fishery. Work was coordinated with emergency services and appropriate municipal officials including police, fire, ambulance, schools and postal services prior to the start of work to inform them of the proposed work schedule. 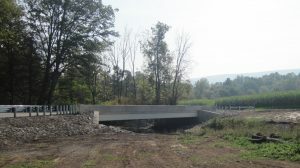 The Pennsylvania Fish and Boat Commission Regional Field Office was also notified prior to the start of construction. 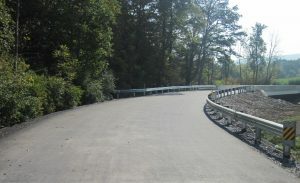 Access was provided to nearby Amish farm property driveways at all times. Bassett Engineering surveyed, designed, obtained permits, and provided construction phase engineering including full-time inspection. The project was constructed by Rylind Construction Company, Inc. of Lewisberry, PA.